Some people visit New Zealand and only go to Milford Sound. I spent many months here, visited almost everything and drove passed the most famous highlight on my way to less obvious / more authentic experiences. But it was gnawing at me. Its extensive marketing and ongoing mouth-to-mouth-promotion threw its lasso and dragged me back in. It had to be done. So I travelled back southwards via the route I roamed before, thumbs up along state highway 6 as an open invite to any friendly soul to take me along on his journey... first a warm-hearted kiwi-couple sharing a scenic lunch in their cosy caravan, parked overlooking the Wakatipu Lake from Kingston, then an adventurous Welshman roaming the south without money but with a van and a carton full of wine (someone’s got his priorities straight). 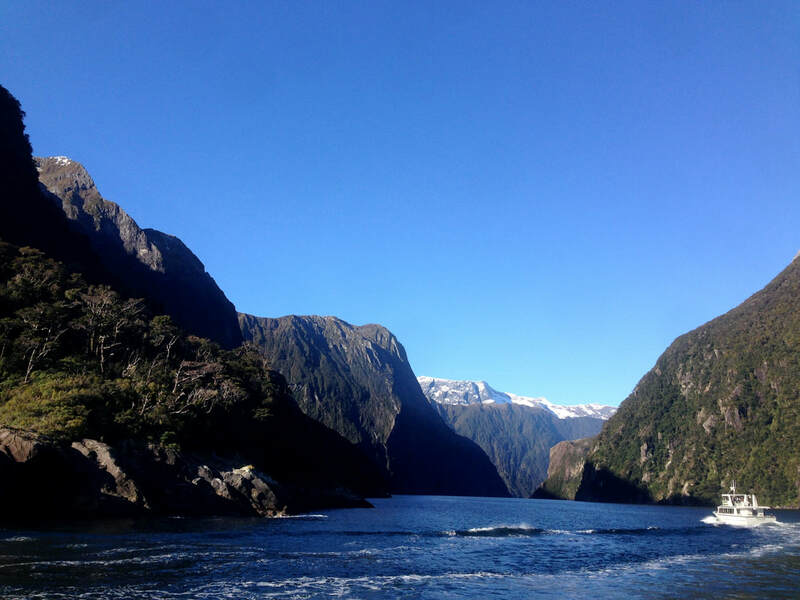 Even though in absolute distances I was situated a short distance away from the famous fiords, mountains complicate direct travel in the area of Fiordland and the south-western coast, ensuring lengthy rides full of panoramas and engaged conversation. 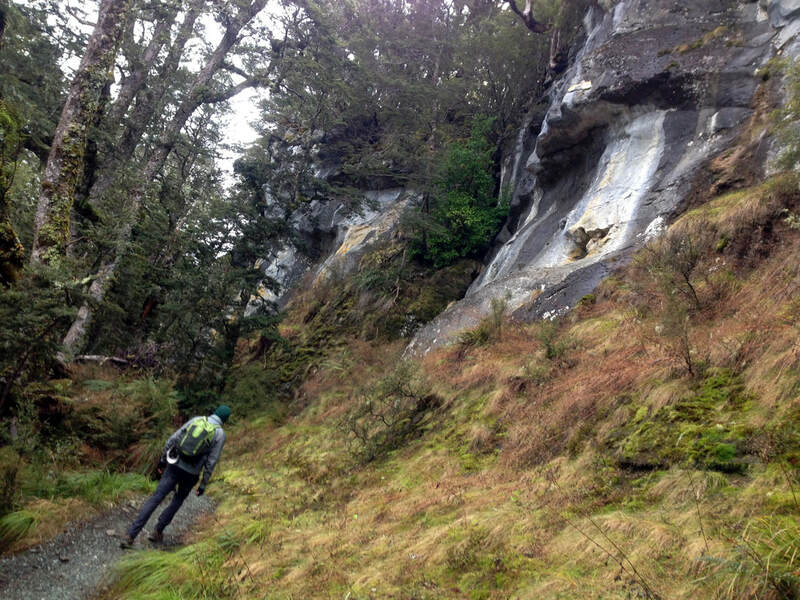 The loop leads passed Te Anau, a tourist highlight in itself demanding a few-days-pit-top. In Te Anau stood the house of the Friendly Giant called Hans-Peter, helping tourists by guaranteeing safe access to the Milford Road with his daily work as a road- and avalanche expert on this well-travelled trajectory. 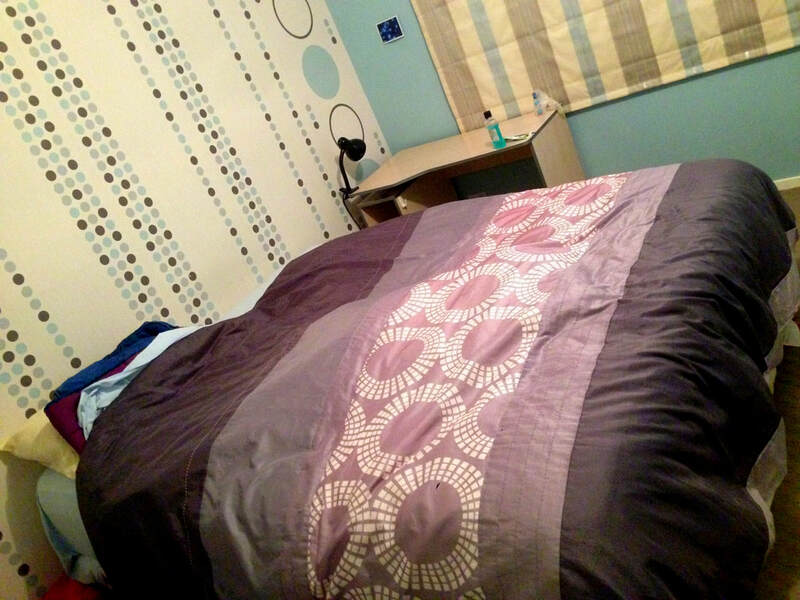 And helping me by offering a comfortable bedroom in his ample home free of charge. Good company and the fragile start of a temporary friendship don’t have a price. 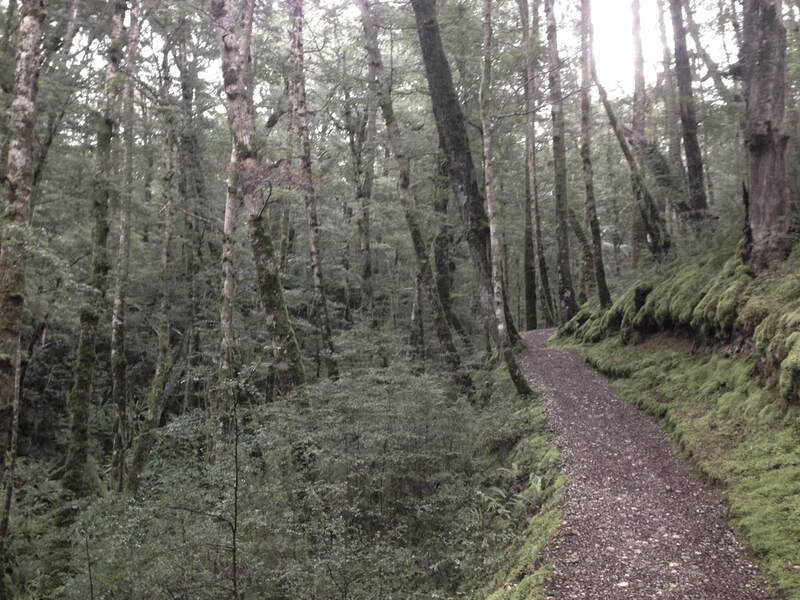 In summer Te Anau offers a wide variety of outdoor activities, such as kayaking, swimming and multi-day tramping on among others the well-known Kepler Track. In winter it offers none of that, although some enthusiasts might give it a go and see how far they can get anyway. I’m one of those enthusiasts. And I made it up to the scenically located Luxmore Hut, generally marking the end of Day 1 on the Kepler, from where I had to return due to extreme snowfall and avalanche risk (meaning I did the first day twice in a day). You see, in winter the Department of Conservation (DOC) refrains from the usual care of the huts, not doing any maintenance nor filling up the fire wood that in this season is more necessary than ever. 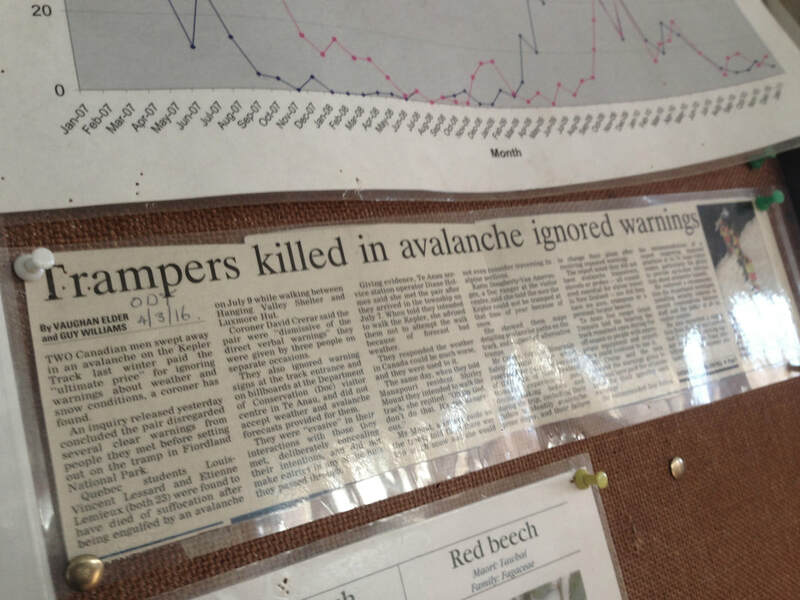 As avalanches tend to destroy bridges, these are removed altogether, forcing daring hikers into river crossings... not pleasant in summer, but an absolute torture in the ice water of the savage winter season. 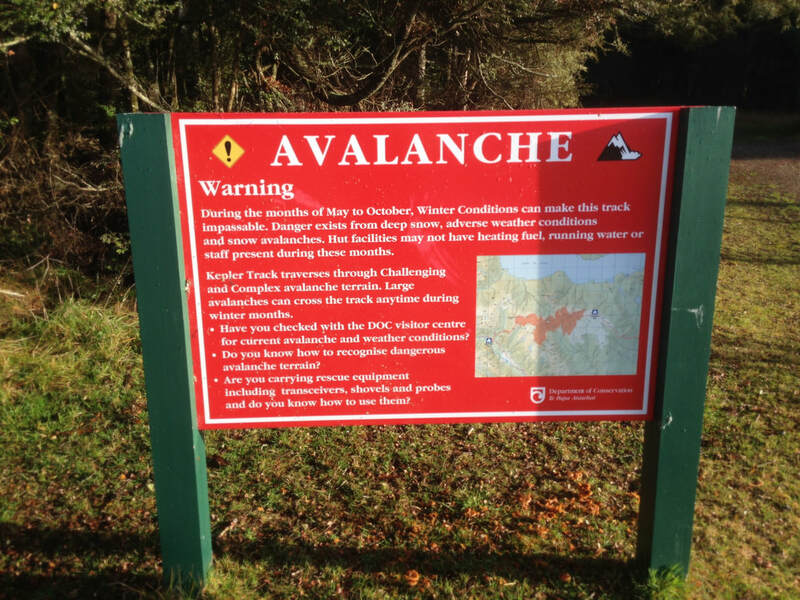 Therefore, it’s strongly discouraged to attempt any of these hikes, but if you go anyway they're only possible for experienced parties equipped with crampons, ice axes, shovels, a safety beacon and extensive knowledge of avalanches and alpine dangers. 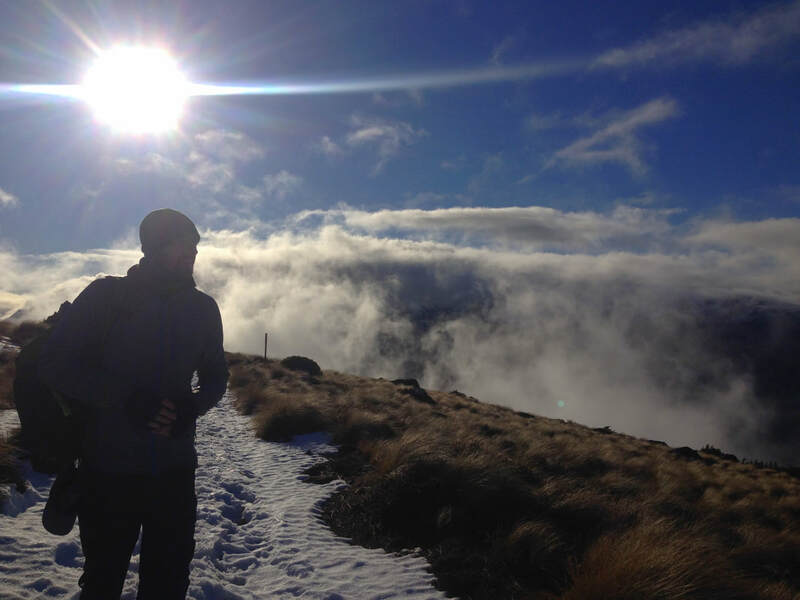 It’s a downright shame, as this is the season when the snowy environment of Fiordland truly comes alive. The natural forces of the mountains, lakes and sea merge in one powerful panorama. 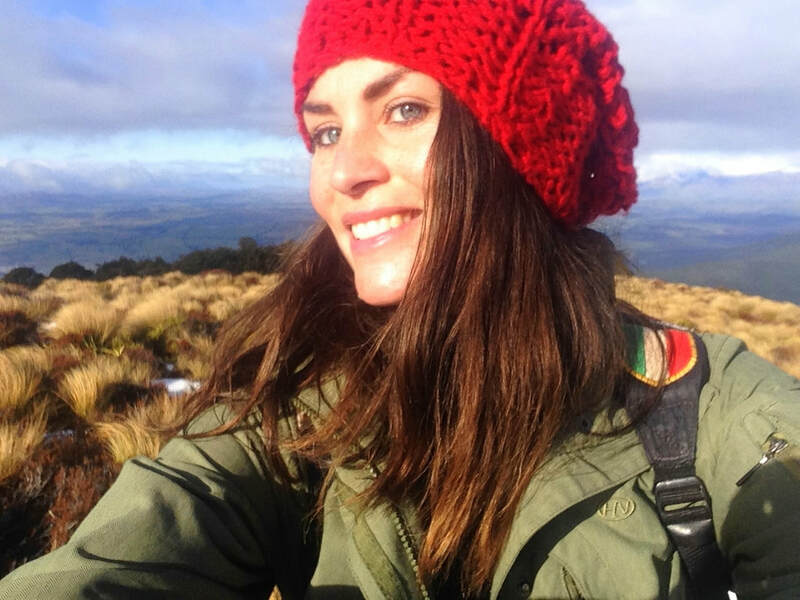 Mystical bush walks are alternated with open mountain crossings through deep snow (making you slip around like a new-born giraffe), overlooking everything that’s around and beyond. That day wasn’t enough. 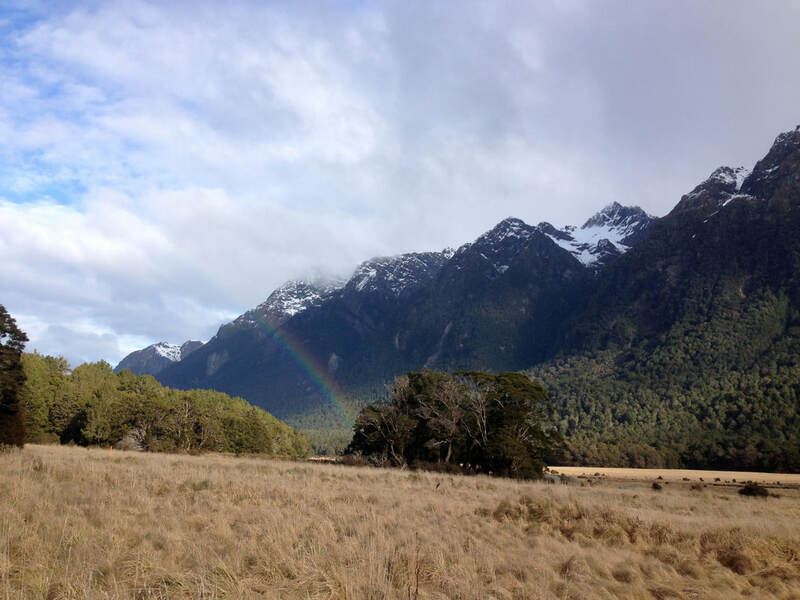 I had to see more, so I drove up to Rainbow Beach next to the scenic Manapouri Lake and finished the ultimate part of the loop from the other side, an extra track leading back to the township. A flat forest crossing, zigzagging through land that’s generally invisible to the unadventurous. Hiking functions as the social glue of two souls roaming the trails together, inevitably forming some vague initial state of companionship. As such, the Welshman Matt and I (yup, from the hitchhike) continued our trip to Milford Sound together. Black ice and an oversleeping-situation provided a bit more adventure (and travel time) than we bargained for, and as such my pre-booked cruise-ship set sail without me on it. Luckily, New Zealanders and specifically those working for Go Orange contain the right amount of chill, so at no extra cost I was placed on the next available boat navigating the rivers puncturing the majestic Milford fiords... allowing me enough time to complete the short Look-Out Trail and the Nature-Loop-With-An-Unnecessarily-Difficult-Name originating from the central carpark. 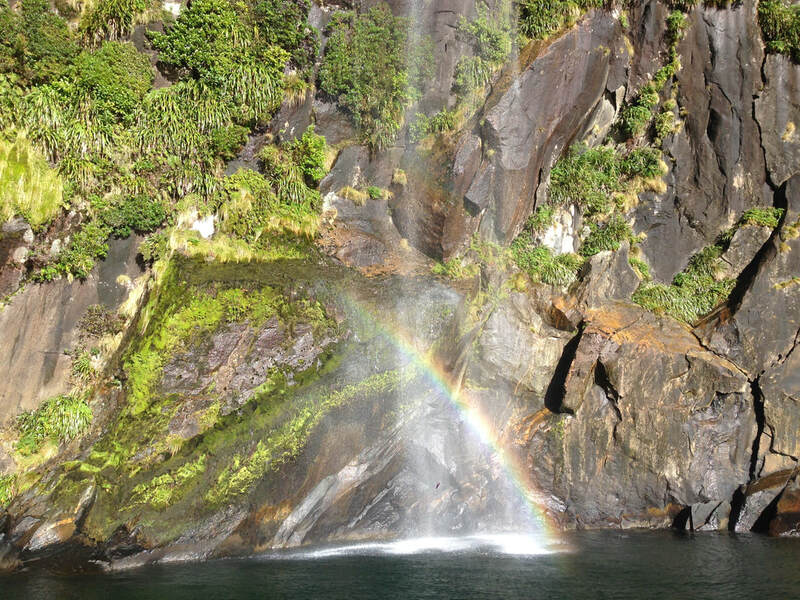 Milford Sound deserves to be the ultimate tourist trap. No tourist or seasoned traveller should be allowed to leave New Zealand without witnessing the majestic spectacle of this divine expression of nature (they should in fact include this in the passport-control procedure upon leaving the country, refusing people exit without having seen this ultimate highlight). Being one of the wettest places of the country, Milford is also one of the greenest, in winter topped with a white blanket of virgin snow. From the harbour bay until the Tasman Sea, a Milford Cruise is a feast for the eyes with an aftershock rocking your world for months to come. Even when leaving the place it isn’t done with you. 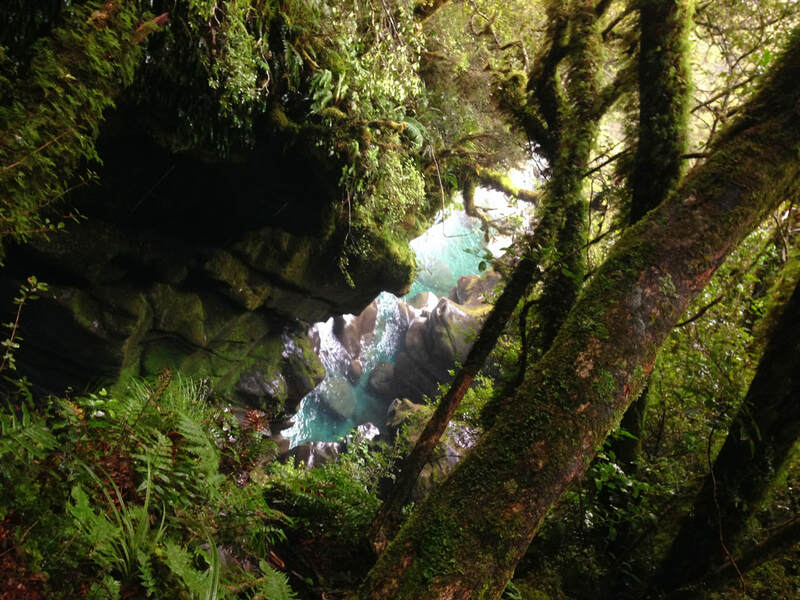 A sequence of interesting stops marking the Milford Road (The Chasm and its canyons filled with bright aquamarine streams being my personal highlight) ​makes an overnight stay a worthy necessity. In summer you would have (should have) added the famous Milford Track, Routeburn Track (also accessible from Kinloch/Glenorchy - I did a part of it) and the lesser-known Dusky Track, Hollyford Track and Greenstone & Caples Track to the itinerary, but for the winter season I got out of it what was reasonably possible. The seasonal alpine conditions of the Fiordland mountain ranges demand respect and consideration, limiting your options... That said, winter is the time when Milford shows its true colours, as a bonus blowing away the crowds with its icy winds. I wouldn’t have exchanged it for summer if I had the choice. Milford is pure magic all year round. - Discover similar landscapes in Argentinean and Chilean Patagonia!